Posted March 21, 2017 by David Somerset & filed under Exclusives. 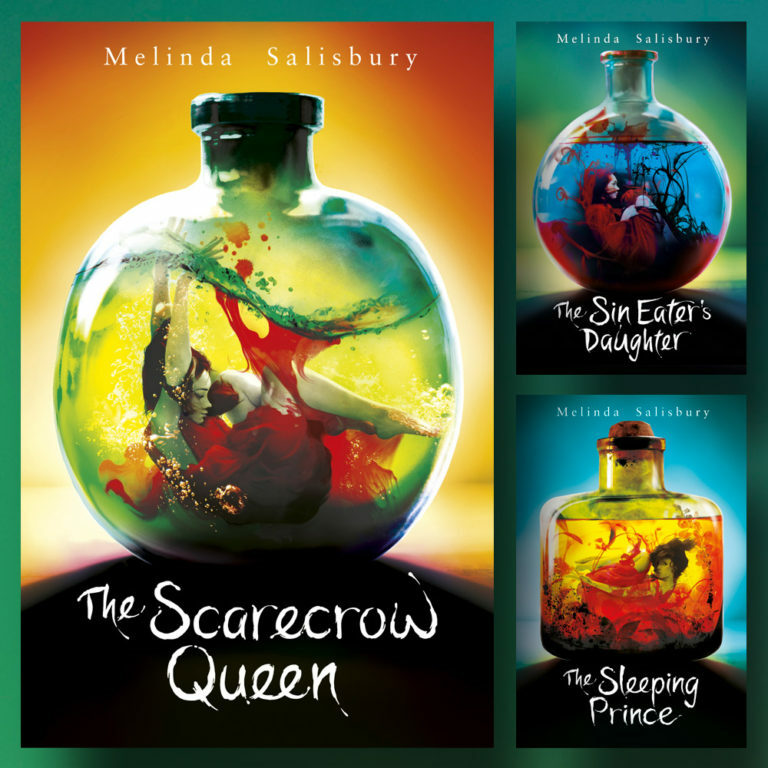 The Scarecrow Queen is the highly anticipated and captivating finale in Melinda Salisbury’s spell-binding trilogy. Buy The Scarecrow Queen on Amazon here. 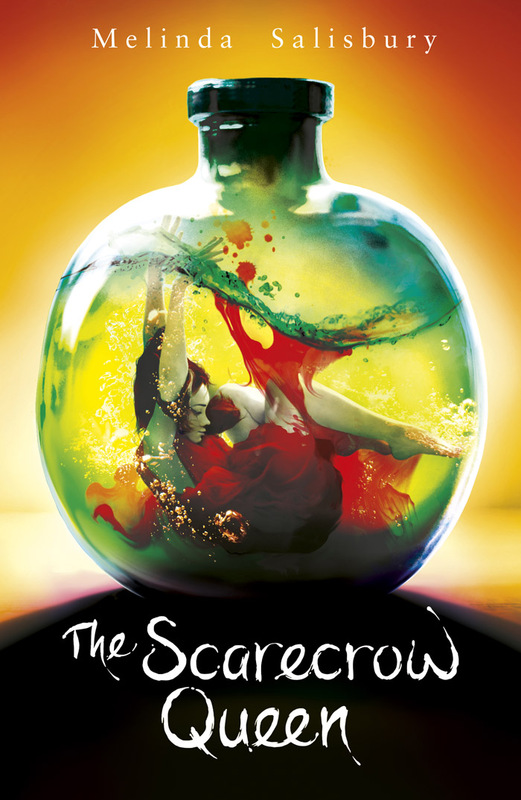 The Scarecrow Queen is the explosive, rich and darkly addictive conclusion to the internationally best-selling trilogy that began with The Sin Eater’s Daughter. Can you tell us a bit about where the characters find themselves at the start of The Scarecrow Queen? “At the start of The Scarecrow Queen everyone is isolated and separated, from their friends and allies, and everything they’ve ever known. It picks up directly after The Sleeping Prince, with Twylla hiding in the Bone Temple, Errin and Silas prisoners, and Lief estranged from his sister, and standing at Aurek’s side. How did it feel when you came to write The Scarecrow Queen knowing that this was the final book in the Sin Eater’s Daughter trilogy? “In some ways writing The Scarecrow Queen was the easiest yet, because I was already familiar with the characters and the world, I didn’t have to create much from scratch, but instead expand on and solidify existing concepts. Was it emotional for you saying goodbye to the characters and the world you had created? “To be honest, it wasn’t all that emotional at first, partly because there are many ‘endings’ to finishing a book – first draft, second draft, edits, copy edits, line edits, etc. – and partly because I was exhilarated by finally finishing after four years of this world occupying my mind. “There was a relief after the first draft that I’d done what I set out to do. Plus, I feel good about how it ended, it’s the ending I’d wanted the series to have, there’s a lot of joy and satisfaction in that. And because of the amount of time that elapses between finishing writing and publication, I’d already started to work on new things, build new worlds with new characters by the time publication came around, so while it’s emotional it’s distant too, for me at least. Had the story always been envisioned as a trilogy? “The Sin Eater’s Daughter was originally a stand-alone, but when my agent submitted it to Scholastic they felt it had series potential, and asked me if I could see a way to do that. By this point, I’d already written The King of Rats short story (the origin story of Aurek, the Sleeping Prince) for my own use, and I realised in Aurek I had a really exciting, terrible villain I could use. “So I went back to them with the pitch for The Sleeping Prince – because of how Sin Eater ends, I wanted to try it from a different character’s perspective and luckily my editor Gen thought it was a good idea. I plotted it from there, and it soon became pretty apparent to me that while I’d thought I was writing a standalone in Sin Eater, I was wrong. How would you describe each book in the trilogy in one word? Do you think you’ll possibly return to the Sin Eater’s Daughter world one day? “I’d never say never, and I’ve already been asked a lot about what happens after the end The Scarecrow Queen, but right now I feel like I’m finished with that world. Everyone ended up where I think they belonged, and I can’t imagine what would take me back to Lormere now. Is there any news on the planned TV adaptation of the trilogy? “As far as the TV series goes I know they’re working on creating a really great treatment that they can show to broadcasters and production companies, but I don’t know any more than that. What have you got planned next? Do you have a new trilogy of stories in mind? “I’m actually working on two projects right now, one that is still under wraps, but is another big-world fantasy, and the second with Macmillan, which is a collaborative group project between me and six other YA authors. Which YA novels have you enjoyed reading most lately that you’d recommend? “I’ve recently finished Sara Barnard’s A Quiet Kind of Thunder, which is the most delicate and beautiful love story between a boy who is a deaf, and a girl with selective mutism. “And Katherine Webber’s uplifting and inspiring Wing Jones, about a girl who turns to running after tragedy strikes her family. Both are contemporary, and both are lovely. “Firstly, read. Read often. Read everything. You’ll learn so much about plotting and pacing and characterisation and story arcs just from absorbing the work of other people. Let other writers be your teachers. “Visit new places, walk new ways, explore and be as adventurous and curious as your bank balance, commitments and health will allow. Nothing inspires me as much as discovering new things and I’d recommend it to everyone. Thanks for your time, Melinda! The Scarecrow Queen is out now from Scholastic.